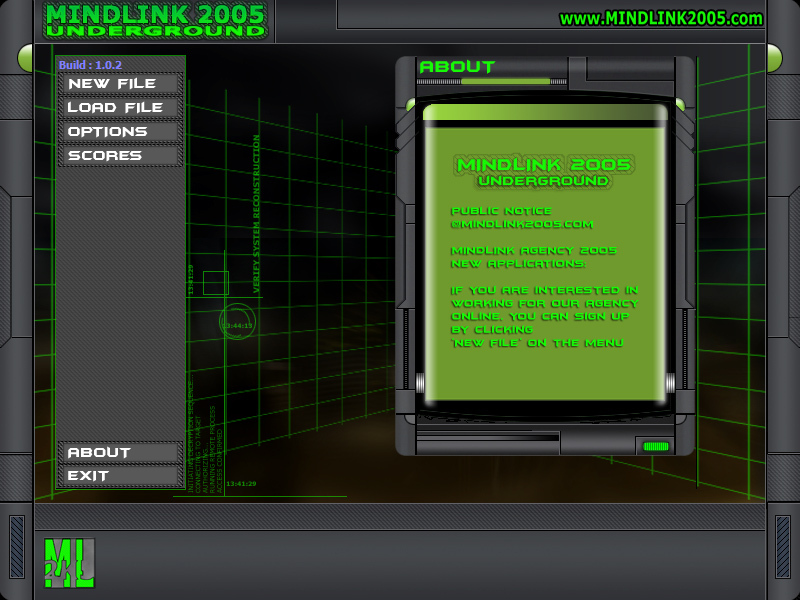 Mindlink 2005 Undeground - Play the role of a hacker agent working from the underground, for the Mindlink agency in this amazing hacker game. A global network of agents working for one goal : to be the best and obtain maximum profit from stealing money and files by hacking into online companies. This game is guaranteed to keep you busy and entertained for a long while. Start at the bottom and work your way up in the world of hackers. Mindlink 2005 Undeground - Play the role of a hacker agent working. ...... Start at the bottom and work your way up in the world of hackers. Unlock better software and upgrades which will help you advance in the game. Mindlink 2005: Underground is a neverending game, where the only limits are set by you! Manage and viewe font for Adobe Type 1, TrueType and OpenType Fonts. Qweas is providing links to Mindlink 2005 Undeground 1.1.0 as a courtesy, and makes no representations regarding Mindlink 2005 Undeground or any other applications or any information related thereto. Any questions, complaints or claims regarding this application Mindlink 2005 Undeground 1.1.0 must be directed to the appropriate software vendor. You may click the publisher link of Mindlink 2005 Undeground on the top of this page to get more details about the vendor.